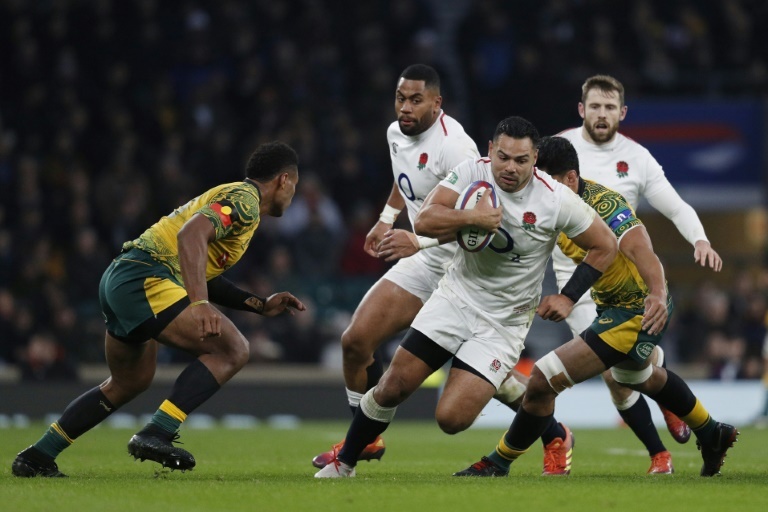 RUGBY NEWS - England suffered a blow ahead of their Six Nations opener away to Ireland after Ben Te'o was ruled out on Tuesday with a side strain. Te'o was in line to start Saturday's match against Grand Slam champions Ireland in Dublin but injured himself in training on Monday. His absence could now pave the way for Leicester powerhouse Manu Tuilagi to return to England's midfield and make his first Test start in four years. Meanwhile both blindside flanker Brad Shields (side strain) and giant wing Joe Cokanasiga (knee) were also omitted from England coach Eddie Jones' reduced 25-man squad announced on Tuesday. England hope all three players will be available for their second match of this season's Six Nations, against France at Twickenham on February 10. A Rugby Football Union statement said the trio would all continue to receive treatment at the squad's pre-tournament training camp in Portugal. Shields' injury could see Mark Wilson move across the back-row from No 8 to blindside flanker. It was as a No 8 that the 29-year-old was named England's player of the November series, following three impressive display at Twickenham but Wilson does play most of his club rugby for Newcastle wearing the No 6 shirt of a blindside. Jones is due to name his matchday 23 on Thursday for what will be England's first international of a year culminating with the World Cup in Japan.